The research team at Cable.co.uk recently reviewed the price for 1G of mobile data in 230 countries. The research, (https://www.cable.co.uk/mobiles/worldwide-data-pricing/) found that one gigabyte (GB) of data costs $0.26 (£0.20) in India but $6.66 in the UK. If Twoobii was a country.. 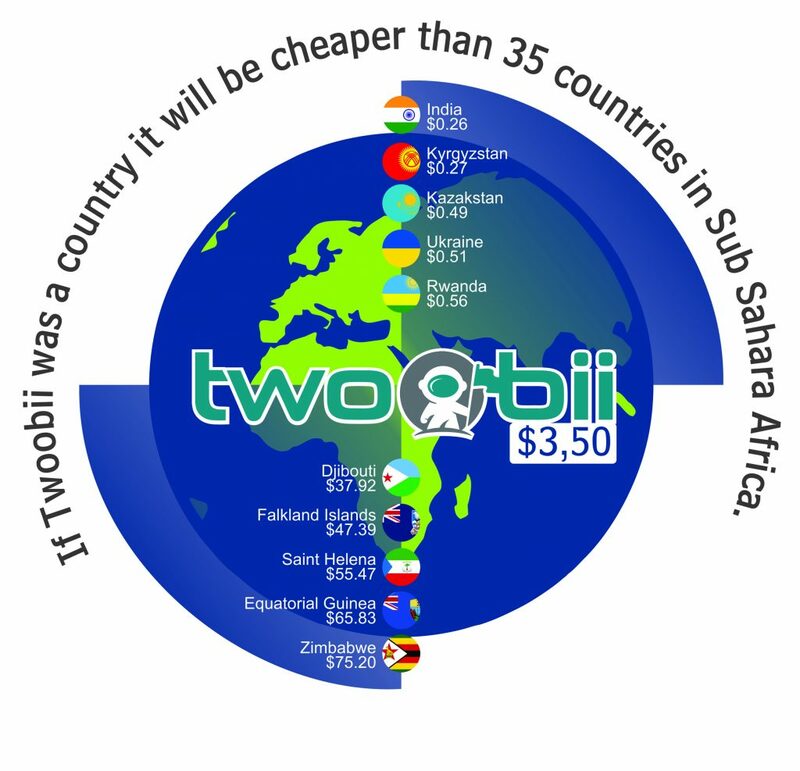 If Twoobii was a country, it would rank #75 globally and #15 in bub-Saharan Africa as per the Cable.co.uk survey, at $3,50/GB. The service offers additional advantages such as “uncapped” or fixed-fee service profiles, while data rates of up to 10Mbps can be provided. This demonstrates that the global investments by companies such as Intelsat and iDirect, on which Twoobii is based, have created a completely new paradigm for satellite access services and are introducing a different business case to the commercial access service provider sector.